Rental Car: Ford Escape (great car, but be careful if you aren't fueling directly from a gas pump). Origin: Sioux Falls, South Dakota. Total Miles: 1568 in 5 days. 754 miles traveled on final day. Places visited: Rapid City, Mount Rushmore, Devil's Tower, Reptile Gardens, Badlands National Park and Agate Fossil Bed National Monument. 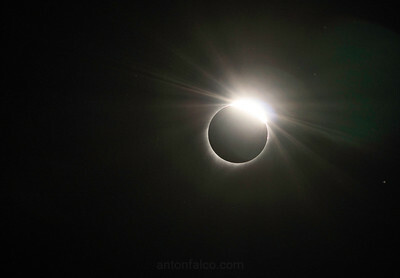 The Solar Eclipse on August 21st was an event I had marked on my calendar for a least a year. 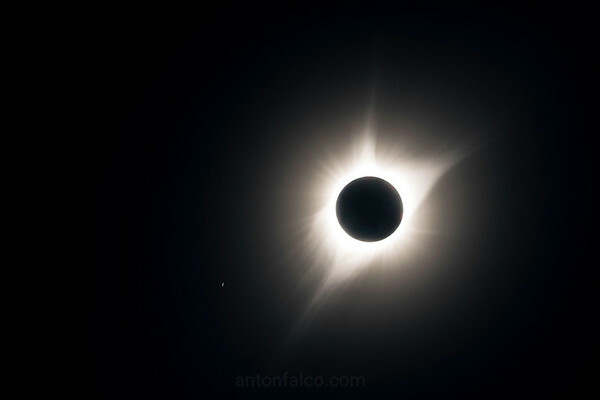 In Southern Ontario, where I live, we would only see about 75% coverage, and after researching the event months ahead of time and seeing the photographs of totality, I very much wanted to experience totality, or 100% coverage of the sun by the moon. I would have regretted staying put for an event that, for North America, is quite uncommon to experience in relatively populated areas, and also at a time that landed in favorable weather climatology. I bookmarked the August 19th-23rd time frame for this unique event. (3) Nebraska/Wyoming for national parks to the north in South Dakota, good climatology and less traffic converging on the area. Oregon was ruled out quickly because I could not find a single hotel within half a days worth of driving (I still very much want to visit Crater Lake, but that will have to wait). Tennessee had many of the most popular areas to visit the eclipse within a few hours of driving (Carbondale, Illinois; Hopkinsville, Kentucky), which made me concerned about incredible amounts of people and traffic converging on the area. I was also concerned about tropical systems coming from the Gulf of Mexico filling the skies with clouds, so I decided against Tennessee. That left me with Nebraska/Wyoming. Climatology told me that the western Nebraska/eastern Wyoming area had favorable forecast parameters, with low odds of seeing storms or significant cloud cover in mid August. The town of Alliance was my first choice, but there were no hotels within a few hours of the city. Wyoming's available hotels were extremely slim, and a flight into Casper or Cheyenne was going to cost well over $1000 from my area, so I looked for cheaper alternatives. 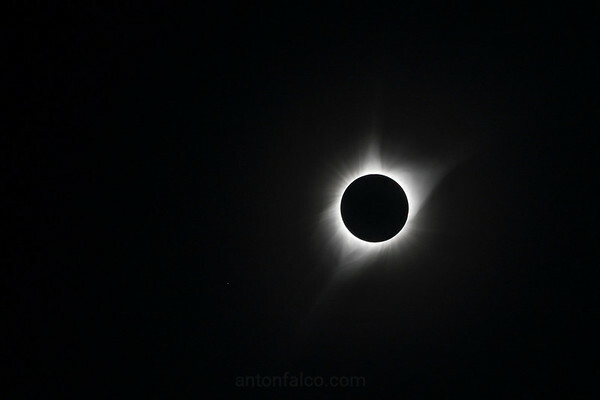 I found a cheap flight to Sioux Falls, South Dakota (around $350) and saw that the drive to Rapid City, where I'd be staying for a few days leading up to the eclipse, was a 6 hour drive. 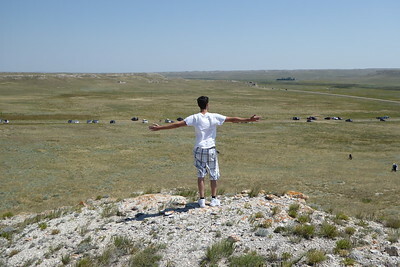 I needed to rent a car, anyway, so I decided to drive to Rapid City after my plane arrived in Sioux Falls on the 19th. The wait was on for the morning of the 21st. (The visits to Mount Rushmore, the Badlands, Reptile Gardens and Devil's Tower will be covered in a separate blog post that I'll post shortly, so stay tuned for that). 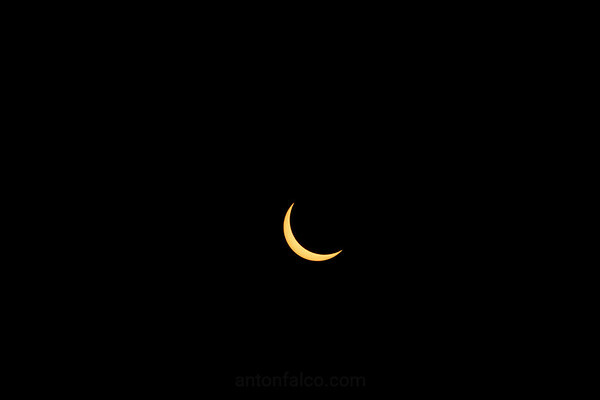 August 21st: Eclipse Day. Forecasting And Final Destination. Forecasting for cloud cover on the Monday morning of August 21st was surprisingly difficult. In fact, I found it a bit strange; I work for a tornado chase crew that is supposed to FIND the storm clouds. It was bizzaro storm chasing. On this day, I was trying to avoid any sight or any potential mechanism that allows for those clouds to form. On Sunday, after reviewing the models, Nebraska and eastern Wyoming looked terrible; as in, they were projected to be covered in thick, mid level clouds. The eclipse, especially totality, would be impossible to see if this was the case. 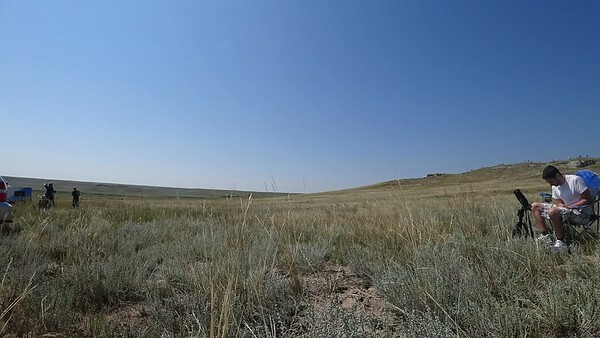 My original target area was Agate Fossil Beds Monument. 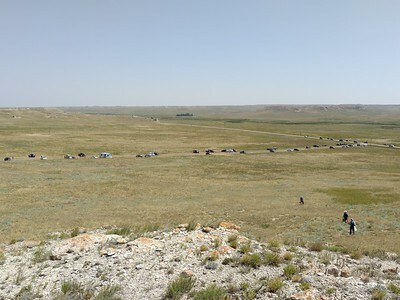 I chose this site to view the eclipse because it is very remote with little to nothing blocking any angles of the sky, and it would (ideally) be away from a lot of the traffic that was sure to plague the roadways along the eclipse path. This spot would be getting 2 minutes and 25 seconds of totality time, which was plenty (Now that I've gone through one, I want every second for future eclipses). Truth be told, I did not have much of a back up plan, location wise, because any location choice revolved around being under clear skies, and that is nearly impossible to plan very far in advance. My only other option would be to push far west into Wyoming and hopefully find a park or somewhere to stop and view the event. I couldn't sleep the night before. I stayed up waiting for the 00Z model runs to check the latest storm and cloud cover predictions for the morning. My girlfriend and I left our hotel around 5am in Rapid City and began heading south on highway 79 for what was around a 3 hour drive. What was interesting, but not quite surprising: there was little to no cars going north. Nearly every single car was heading south. Traffic was starting to build at some points even at 5am. After passing the Nebraska border, I had a choice to make. The classic "fork-in-the-road" moment. I could choose to push west on the US-20 into Wyoming and brave what was sure to be incredible amounts of traffic and no guarantee of finding a place to stop that wasn't the side of the road near Douglas, Wyoming, but much higher odds of clear skies (I could see the skies were completely clear to my west as I was traveling south), or continue to push south towards Agate, Nebraska. Doing so would mean pushing through the fog and low level clouds that were quite prominent at the time, but were expected to move east or burn off shortly after 8am, and likely would give me a parking spot and would mean significantly less traffic. I chose to push south towards my original target, Agate, Nebraska. I saw the visible satellite showed clearing for the entire area to the west and the last of the clouds over the area were pushing east quickly. Though, truthfully, seeing clearing to the west and nothing but clouds and fog in front of me made for a bit of a nervous drive. The sun piercing through the fog as the low level clouds pushed off to the east made for an incredible display of orange illuminated roadways ahead. I wish I had gotten a picture. The fog was thick enough that looking at the sun through the fog was as if you were looking at the sun through the eclipse glasses. 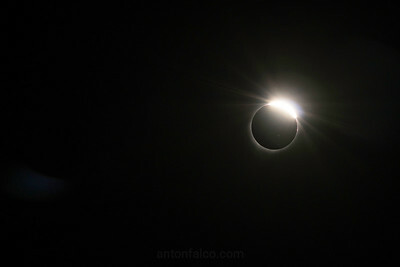 It was an incredible short lived sight, but seeing it dissipate made me a lot happier for eclipse prospects. When we arrived at the Fossil Monument area around 8:30am Mountain Time, cell service was pretty much nil. As expected. There was also plenty of traffic, which was a bit of a surprise to me. There was a significant line to get into the area. Park rangers had cut grass to clear some areas out for the multitude of traffic they were expecting, and we were able to get one of the last ten spots for one of the three temporary parking lots. I was struck by just how open and vast the areas was. There was nothing, and I mean nothing, besides rolling hills for miles in any direction. 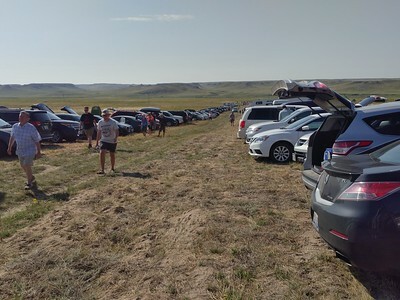 There was a large hill behind our parking area that many chose to climb and observe the eclipse from, though I passed because of the existing winds, and the winds that would soon come. 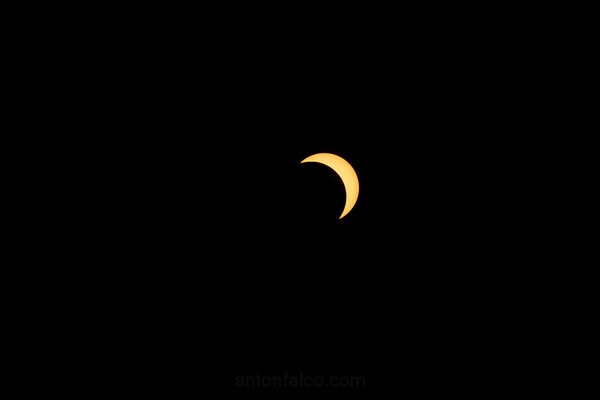 There were a few small clouds in the sky that remained from the morning, but those soon dissipated as the eclipse forced the temperature to drop. 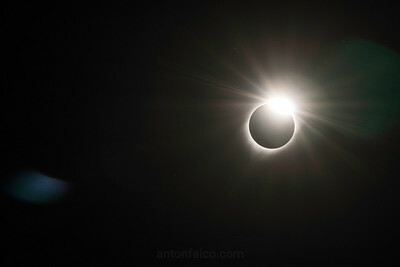 My plan when I arrived was to set up my camera and track the eclipse manually (I could not afford or had room to carry a motor drive to keep the sun centered at all times) and have a secondary camera time lapse the sun's light go from bright, to dim, back to bright in about 30 minutes total. You will be able to view both of those videos below. Once I was all set up, I waited. I sat in my chair with my gear ready to roll and talked with my eclipse neighbors. You could feel the buzz of excitement among everyone passing by and everyone you talked to. It was a very infectious atmosphere. Everyone was excited, everyone was in a good mood, many had no idea what they were expecting to see, and many knew exactly what was in store for everyone that morning. You could tell which people knew what was going to happen because they were the most excited group. The family next to us, from Rapid City, provided us with great conversation and some suggestions for places to visit while we were in town; all while we couldn't wait for the event to begin. They made the wait much more bearable and I'm glad I had the chance to meet them. 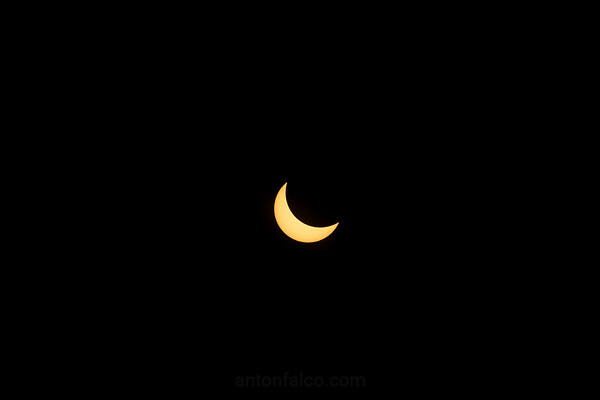 (1) The mid-day sun was beginning to dim. 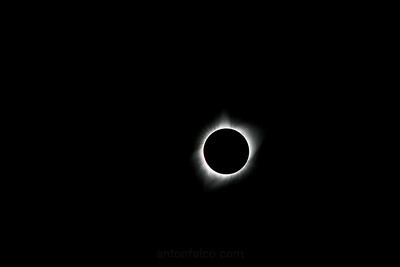 It was slow and rather subtle at first, but the closer you got to totality, the more it looked like you were wearing sunglasses. It didn't look like it was getting darker per-say (It was different than the sun setting at the end of the day), but the light wasn't as intense. I hope I'm illustrating that in an understandable way. It felt like wearing sunglasses. (2) Crickets began to chirp. Silent the entire morning, within about 10 minutes of totality, they began to chirp as if it was night time. Birds that were flying over the area were no longer in the sky at this time. (3) People began to become a lot more concentrated on the sun. Prior to this time, people were all over the field, walking around, joking around, and enjoying themselves. This 10 minute period had most people return to their site, cease talking and concentrate on the sun. (4) Slight temperature drop. You didn't notice it at once, but over the course of an hour, you suddenly felt the bite of the wind that you didn't notice previously. 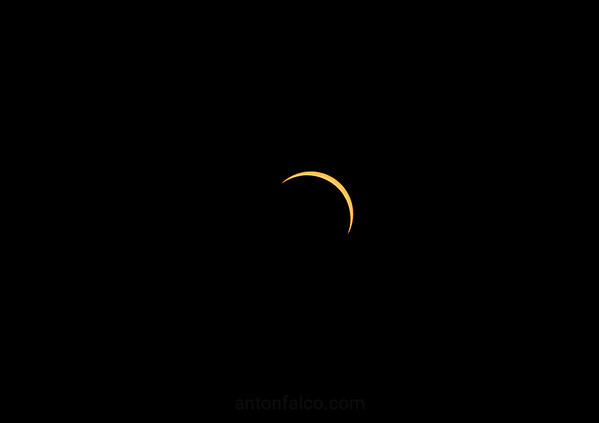 (1) A 360 degree sunset. Any direction you looked, it was as if you were looking to the west observing the sunset. There were some distant clouds (as you'll see in the time lapse) that really showed off this phenomenon. It was an incredible sight that really took a few seconds to process. You are just completely taken back by this unseen change. (2) The sun was completely down. It felt like twilight hour. There was enough light that you wouldn't immediately think to grab a flash light to walk around, but was dim enough that it would take time for your eyes to adjust when moving around. You'd definitely need a light to read anything that wasn't a back lit screen (such as a cell phone, etc). (3) Significant temperature drop. You noticed it now whether you wanted to or not. It was no longer a subtle drop; you felt chilly. Moments prior, depending on your cold tolerance, you many not have wanted a sweater in that chilly breeze. You more than likely would at this point if it lasted any longer than a few minutes. 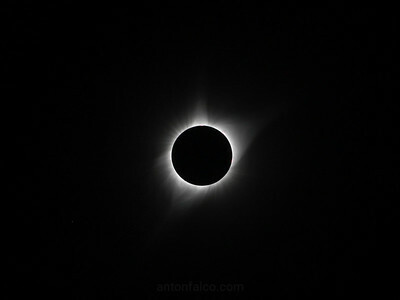 (4) At the exact moment of totality, there was plenty of cheering and yelling in excitement. It was as if you were attending a live show, or an NFL game. I was in the middle of nowhere, in an open field, with nothing to echo the noise back, and the cheering was still rather loud. I can't imagine how loud it would have been in a large city environment. Emotions were quite varied as well; many were yelling, many were jumping up and down, many looked overwhelmed. 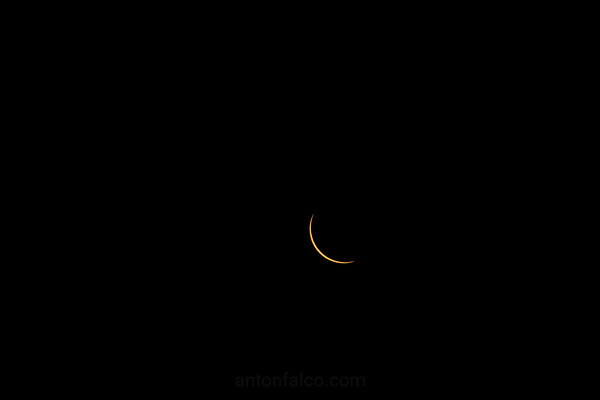 I waited until the moon had completely shifted away from sun to stop my time lapse videos. This was around 1:14pm. By then, a large portion of the crowd had decided to leave, which made our drive much easier getting out of the Agate area. We wanted to push north to go visit the Devil's Tower in Wyoming, but the traffic, as expected, was horrific. Highway 18 was bumper to bumper all the way to Edgemont. We did not have the time to push north after the traffic to get there before sun down. 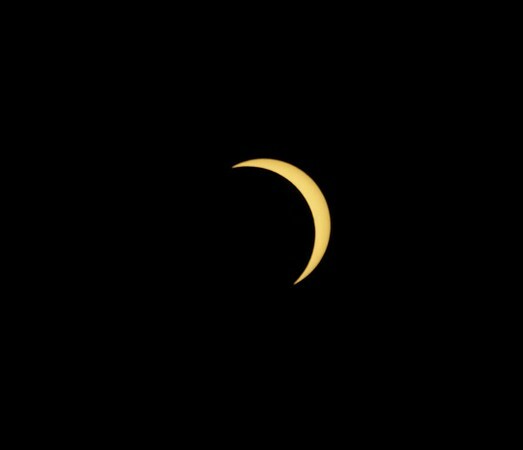 Overall, the eclipse was a surreal experience. I had done a ton of research and looked at several pictures and time lapse videos, and I was not prepared for what I witnessed. 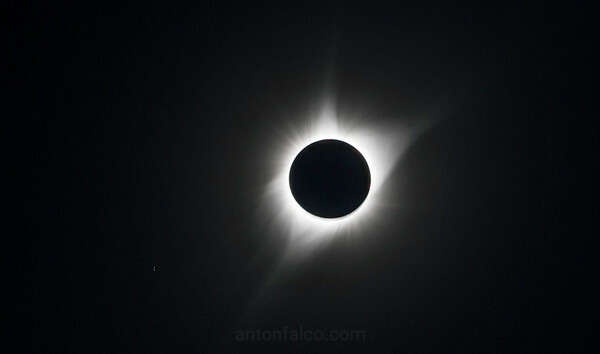 I highly enjoyed it, and I plan on attending the 2024 one; in fact, as long as the weather co-operates, totality should pass right over my house and it should be nearly double the length of the 2:25 I experienced in Nebraska. Climatology says odds are not good, so I may have to plan to head down south and repeat this process all over again. A process I gladly would repeat. 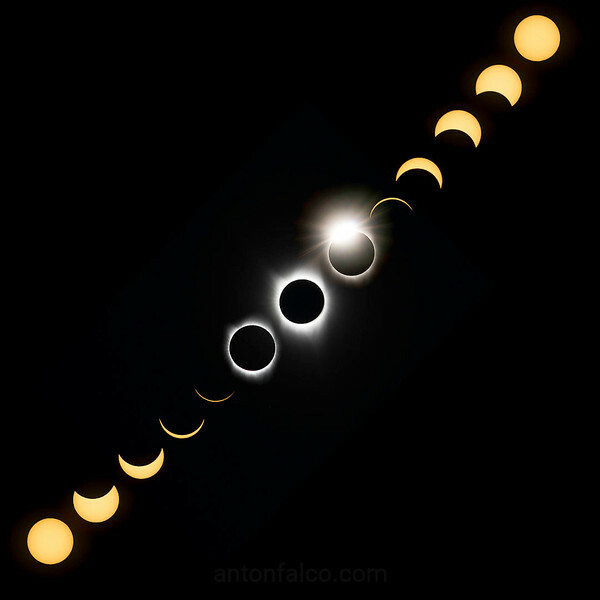 If you enjoy any astronomy related activities, this is well worth the potential forecasting heartache. We went back to Rapid City after traffic disrupted the journey to the Devil's Tower, enjoyed the water slide in the hotel and set off to the Tower the next day. 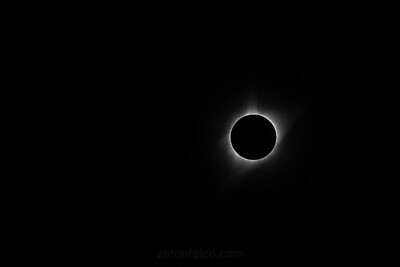 With a memory card full of eclipse photos. 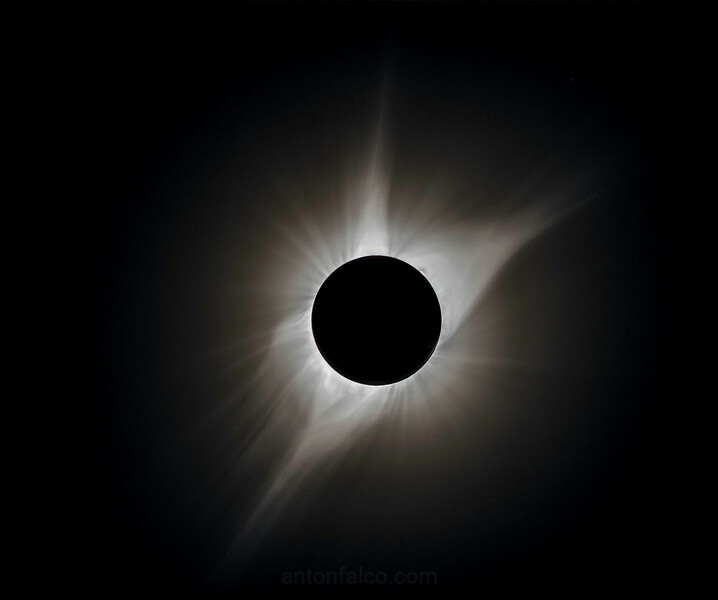 The Experience Of Totality. Time Lapse.